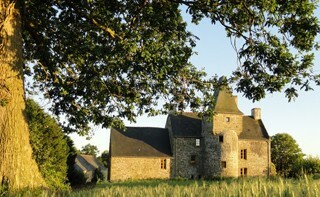 The Manor de la Branche has been built in the fifteenth century, in 1412 by the lord de la Branche. Five large rooms decorated with furniture and antique fabrics comfortable and refined. All rooms have views over the garden and are quiet rendezvous. It is with pleasure that we welcome our guests upon arrival and a welcome drink will be offered. An ideal base for exploring the historic, architectural and gastronomic region. Guide Michelin 2011 and 2012, Label Clès d'Or 4 Tours.